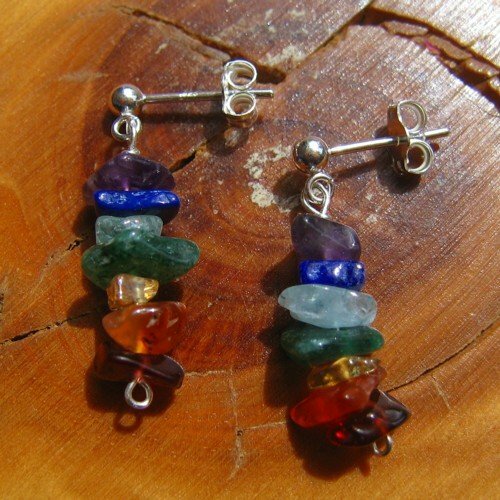 Chakra earrings rainbow crystal studs. 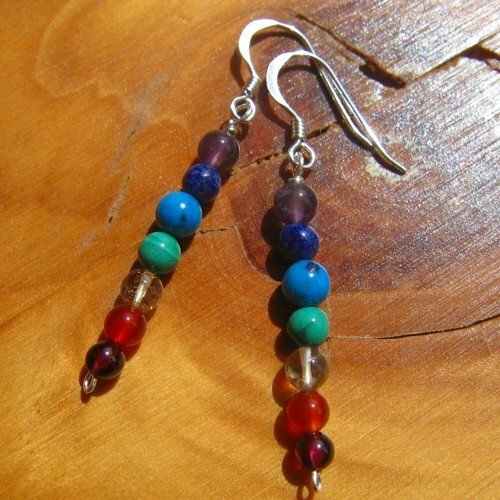 These are made with a carefully selected mix of tumble chakra crystals and semi-precious stones. First of all, I thread the crystals on to silver wire, in order of the chakras. Therefore, each crystal used corresponds with each of the seven main chakras. 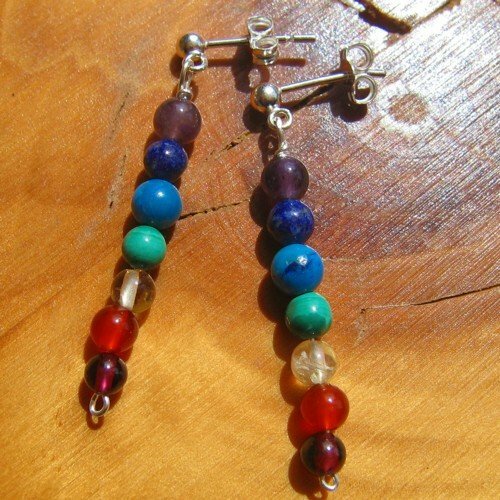 So, you will have amethyst, lapis lazuli, blue topaz, green aventurine, citrine, carnelian and garnet. 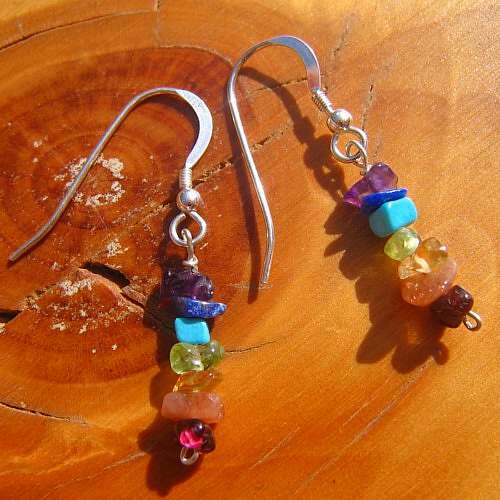 I love the mix of colours and for that reason I find they are easy to match up with other jewellery. 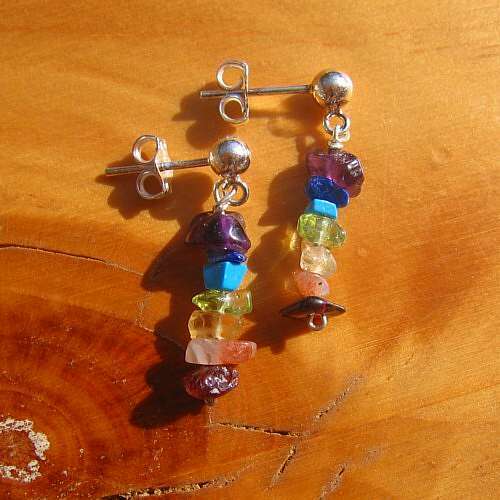 Your “chakra earrings rainbow crystal studs” are then set on to sterling silver ear studs. I only use solid silver, so these are good for clients with allergies to other metals.